Traditional Venetian design in a 5 inch cordial. 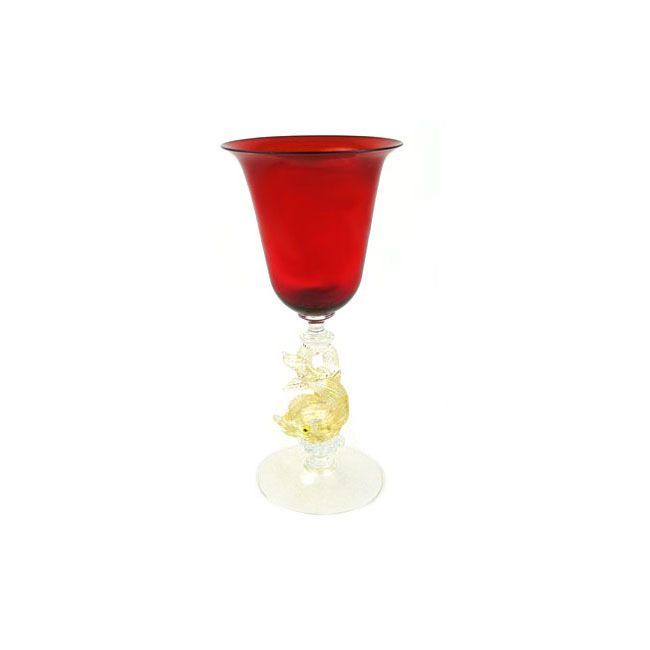 This handmade Red cordial features a stem of crystal clear glass fused with 24kt gold foil and formed into the shape of a dolphin. Blown glass from Murano, Italy. A great gift for any celebration. Perfect to drink your Grappa as well!